I grew up in a home where repurposing came naturally to us because we did not have enough money to go out and freely buy something to replace things that were worn out or damaged. But we, my sisters, brothers and I, learned from our parents. They grew up in farm country and the lingering effects of the depression. Making things last and repurposing parts was and is still a normal way of life. Hand me downs were common-place, and repairing furniture, machinery and tools were an everyday occurence and no one Blinked an eye at seeing things in different states of repair lying around the property. In today’s world, if something breaks, you throw it away and replace it with the newest or closest facsimile to what you had. I have a difficult time with this mentality. Now, I’m not saying that I’m a horder. No, but I am an artist, a repurposer and a DIY gal. And for those of you artists reading this blog you understand what I am saying. There is a repeating internal dialogue that comes up when the situation demands to toss something out. Is it worth keeping? The internal dialogue is unique for each item and function of that item. But, you have to ask yourself if it’s worth it. Will it cost an arm and a leg? I do love repurposing things and my husband loves it to. But, I think the term is now upcycling. Once you start repurposing, you just don’t see the world the same way again. I have made Bird Baths out of old metal fire pits. Taken old pipe and made into chimes. Made bridges that go over our covert with worn out fence wood and ribs from a satellite dish. 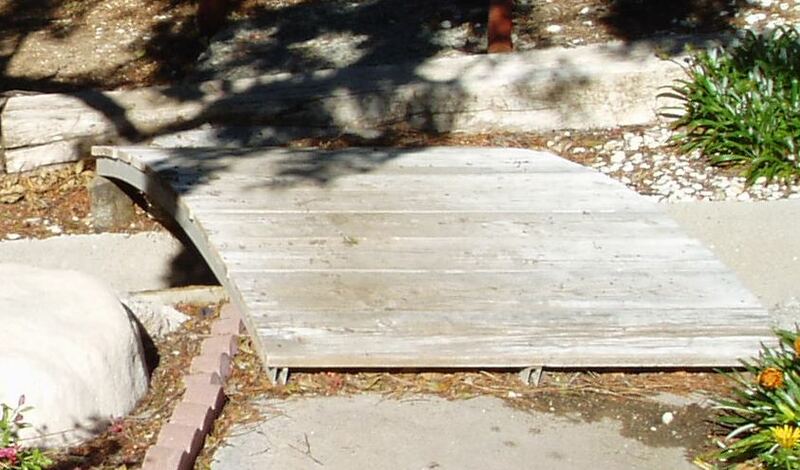 Made a walkway out of wood pallets. All it takes is the know how and the will/interest to give it a new purpose and new life. 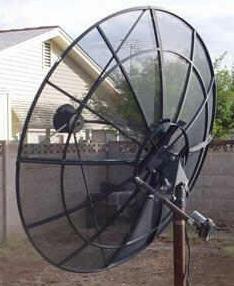 The biggest project we took on was to disassemble an old satellite dish and turn it into yard art and functional things for our yard and home. You know the kind of monstrosities. Eight feet across, me tal and ……sooooo…..ugly. The wood bridges made from old fence panels are supported by the aluminum ribs of the inside part of the dish. 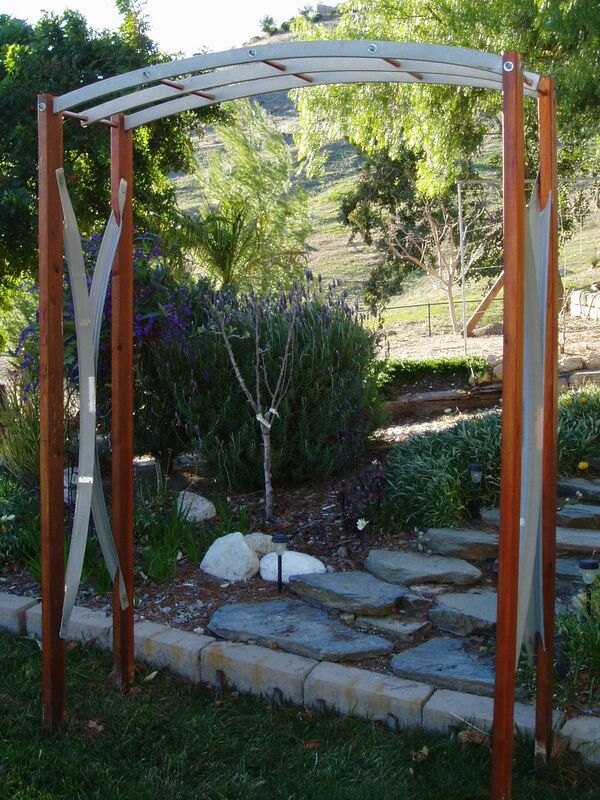 A Garden Archway is made from bought wood and outside and inside ribs from the Satellite Dish. 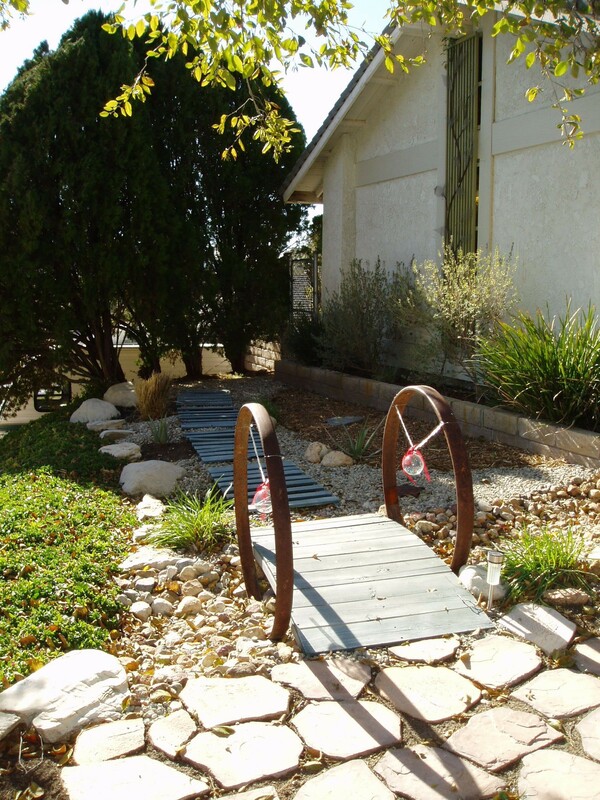 Our front yard’s walk way is repurposed wood palettes and another bridge like the one in the back yard. 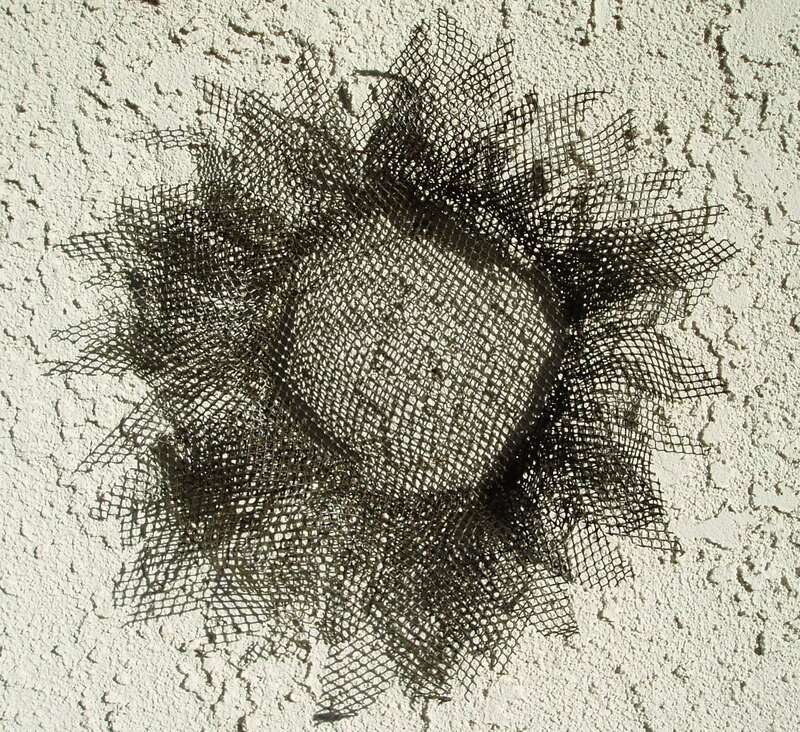 A metal Flower was made from the mesh of the Satellite Dish. So, keep your eyes open because you never know what can be upcycled or repurposed. Repurposing can be a Beautiful Thing.